Professor Ashish Chandra is a Professor of Healthcare Administration, College of Business at the University of Houston-Clear Lake (UHCL), Houston, Texas, USA where he also served as the Department Chair for over four years at UHCL. All together Dr. Chandra has over 20 years of university level teaching experience in the U.S. He is a well-recognized healthcare administration academician internationally and serves on the academic advisory board of several educational institutions in Turkey and India. He has also provided over a dozen Management Development Program, Faculty Development Programs, and professional consulting services to several healthcare and business organizations in the United States, India, Turkey, and aboard cruise ships. He actively served on the board of directors of several professional and community organizations in the United States. Over the past four years he has served as the Course Director and Speaker of five Continuing Education Programs for health professionals. Dr. Chandra is a prolific researcher and has 75 publications in refereed journals, two edited books, ten book chapters, and over 250 publications in conference proceedings. He is an Executive Editor of the journal Hospital Topics (the oldest journal in healthcare administration field - almost 95 years in existence). He has served as the President of FOUR major international academic organizations - the Business and Health Administration Association; the Association of Collegiate Marketing Educators; the MBAA International; and the Federation of Business Disciplines. He has also served as the Program Chair of over a dozen major international conferences, held in U.S., India, Turkey, and U.K. as well as aboard cruise ships in the Caribbean, Alaska, Baltics, and Mediterranean. 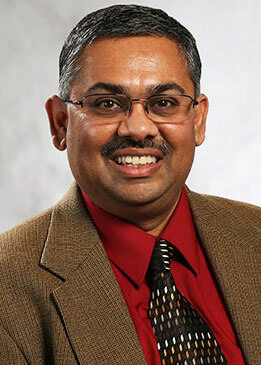 Professor Chandra has received numerous awards and recognition related to teaching, research, and service throughout his career, including the 2017 Excellence in Teaching Award by the National Society for Leadership Success; 2015 Outstanding Professor Award given by the University of Houston - Clear Lake Alumni Association; 2012 American College of Healthcare Executives Service Award; 2011 Outstanding Educator Award from the Association of Collegiate Marketing Educators; to name a few.